Many Chicano activists refer to Mexicans as “La Raza”, literally “the race”. “Dia de la Raza” is celebrated on Columbus Day (October 12) as the day the Mexican indigenous population started their resistance against the European invasion. The term “La Raza” derives from a 1948 book “La Raza Cósmica.” The author Jose Vasconcelos’ thesis is that Mexicans (who he defines as a combination of indigenous and European bloodlines) are a new superior race. In developing his thesis, Vasconcelos draws upon many concepts including Marxism; he felt Europeans were too materialistic and capitalistic. He suggested that Mexicans have evolved (à la Darwin) into a new race that would be a world leader in the years ahead. The Government of Mexico tacitly agreed with this approach which engendered national pride. It was also consistent with the government’s post Mexican Revolution view that all ethnic groups should be combined into a common Mexican national identity. According to the 2010 census, about 15% consider themselves indigenous, though about 58% of these do not speak any indigenous language. Assuming the “white” and “other” categories are still about 10% and 2% respectively, this suggests that today about 73% are mestizos. Almost all people in Mexico refer to themselves simply as “Mexicans”, not as indigenous Mexicans or mestizos or whites. 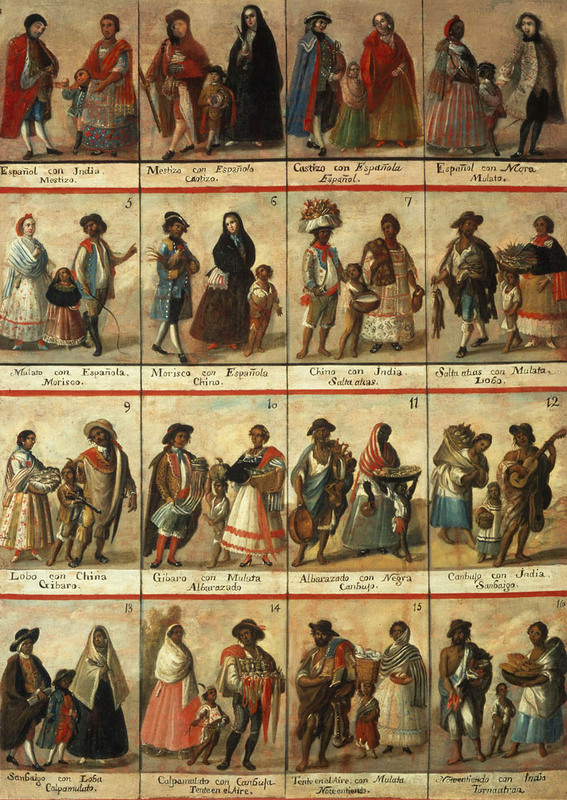 Vasconcelos’ “Raza Cósmica” and most Mexicans overlook the historical fact that Mexicans have an important African heritage. Between 100,000 to 200,000 African slaves were brought into Mexico during the 16th through 18th centuries, nearly a quarter the number brought to the USA. In 1646 there were 35,000 African slaves in Mexico, more than 2.5 times the white population [see Blacks outnumbered Spaniards in Mexico until after 1810]. These slaves represented about 12% of the total population, roughly equal to the percentage of slaves in the USA before 1860. Mexico’s second president, Vicente Guerrero, whose mother was partially Black, abolished slavery in 1829. Thousands of Blacks moved into Mexico from the USA before it abolished slavery in 1865. 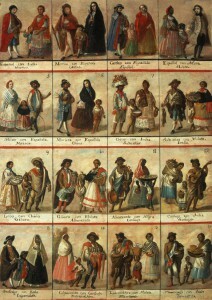 However, today there are very very few black faces in Mexico. One can spend weeks in Mexico’s major cities without seeing a Black Mexican. 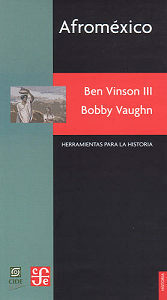 If one pays close attention, they can identify people of African heritage in a few selected communities in Veracruz and along the Costa Chica in Guerrero and Oaxaca [Bobby Vaughn’s homepage: Afro-Mexicans of Costa Chica ]. Before too long, nobody could keep all the combinations straight! Eventually, everyone of mixed race was considered a mestizo. The African portion was purposely or accidentally dropped. 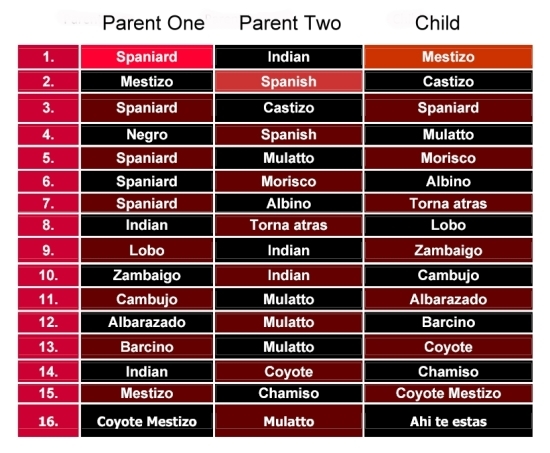 Modern research, based on DNA, indicates that Mexican mestizos are genetically about one-eighth African [mtDNA Affinities of the Peoples of North-Central Mexico]. While Brazil is often identified as the world’s foremost melting pot, the evidence suggests that in Mexico the races have melted more than in any other country. While there are very few black faces in Mexico, there is a great deal of African heritage represented in art, music, dance, food, and even in fishing and agricultural practices. Did you know that the popular Mexican song “La Bamba” recorded by Richie Valens, Los Lobos and others can be traced back to the Bamba district of Angola? As part of the 500th anniversary of Columbus’ famous voyage, the Government of Mexico finally acknowledged officially that Africa was Mexico’s “Third Root”.